Thanks for visiting *NSYNC Palace! As with any website, this is always under construction. I'm doing a lot of new things right now, and I hope to make this site much better than it already is. Keep coming back to see what's new! POPODYSSEY is taking the country by storm! Send me your show reviews and check back soon for my concert and sound check reviews and pics! Three "Celebrity" songs have lyrics available now! Track-by-track review of "Celebrity" for those who can't wait! What are the guys' "life theme songs?" Find out! New sounds! Groove to Grinch tunes first! 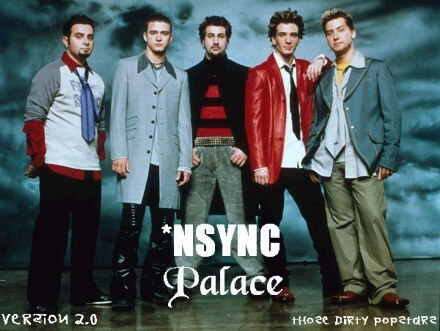 people have visited *NSYNC Palace since December 2, 2000. Click on the icon above to tell your friends about *NSYNC Palace in one easy step! Click on the button above to promote your site for free!